John F. Buckley has divided his life between California, where he spent most of his adulthood, and Michigan, where he was born and raised, where he now attends the MFA program in poetry at the University of Michigan in Ann Arbor. Over two hundred of his poems have appeared in journals and anthologies, including Agenda, CounterPunch, Harpur Palate, The Midwest Quarterly, Poetry New Zealand, South Carolina Review, Southern Humanities Review and Yemassee. Sky Sandwiches is his first solo full-length poetry collection. 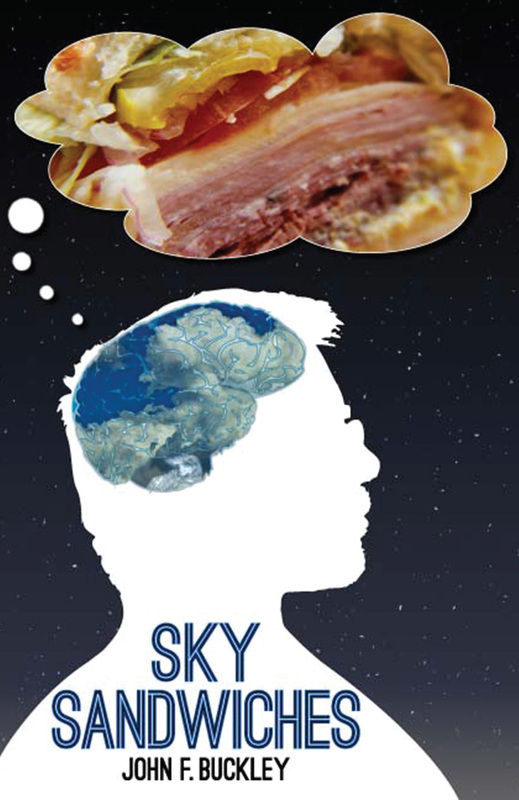 Sky Sandwiches ($15, Poetry, ISBN#: 978-1-937536-32-9, Hardcover ISBN: 978-1-68114-160-2, LCCN: 2012945999, 98pp, 6X9″, Click to Buy, or buy a Kindle for $2.99): The forty-eight poems in Sky Sandwiches echo John F. Buckley’s wry, paradoxical perspective, a point of view evoking both the transcendent and the quotidian, fusing a sky associated with religion and higher yearnings with the sandwiches of simpler sustenance. In his poems as in this world, people fly like crooked arrows, seeking targets both above and below. The collection describes how our desires lead us to absurd hopes and stale resignations, humble dreams and sublime despairs. It recounts the ways we may seek both eternal salvation and a half-decent Italian sub. Parts are tender. Parts are funny. Parts will get stuck in your braces. Accurate intro to a fantastic collection of yummy treats, perhaps quotidian, but never pedestrian.